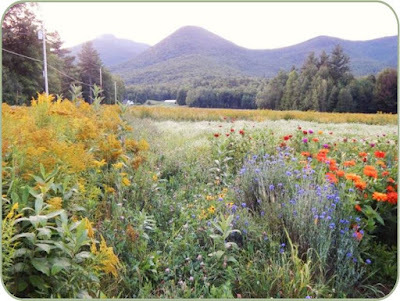 Edited June 12, 2018, Links added June 13 ~ Recognizing Healthy Honey Bees: Acclimatized means more than just 'winter hardy'. 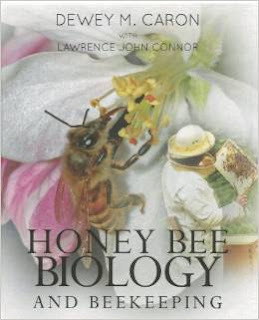 Honey bees evolved with the plants they depended on for nectar, pollen, and resins. 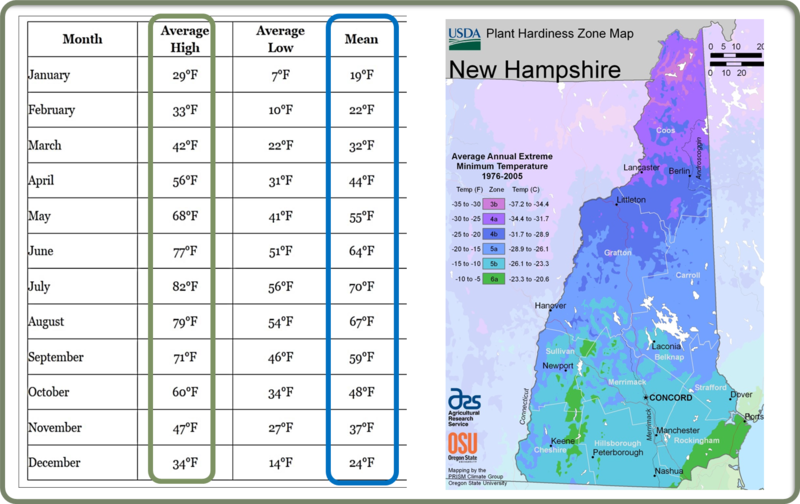 Looking to plant hardiness zones for compatible queens and colonies has proven successful in my apiary. Healthy honey bees means a greater chance at managing mite loads without treatment. A beekeeper can not expect to be treatment free if they are acquiring bees from a migratory stressed, heavily managed, or industrial agriculture background. Gone but not forgotten, lush Ferncroft... now just a red clover monocrop. and my bees once thrived here. 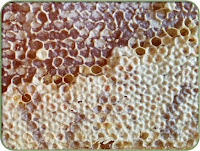 *PROPOLIS: Liberal application of propolis on walls, frames and in vulnerable hive body connection points. Bees know what resins to find and where to find them. EATING: Overwintering colonies consume 10 lbs of honey a month. Survive on wild forage without supplemental feeding. Bees know what to find and where to find it. *FORAGING: Efficient collection of early to late season nectar and pollens in colder temperatures. Bees know what to find and where to find it. *CAPPINGS: Northern honey bees learn from their sister-caregivers how to cap honey by leaving a space under the cap to accommodate freezing temps. This helps prevent crystallization over winter. This is not genetic behavior but learned behavior. Southern bees lay the cap on a full cell. 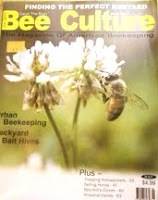 Biologist have studied this phenomenon for many decades in Europe by requeening southern bees with northern queens. 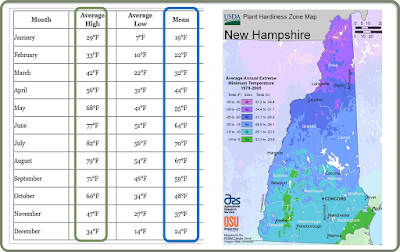 This seems to explain why so many packages from southern climates, despite being requeened with northern queens in New Hampshire, starve clustered over crystallized honey. Hearing so much at meetings about how hard it is to keep bees in our northern climate I have found the study of honey bee biology to bring the joy back into my inspections and investment of time and care. 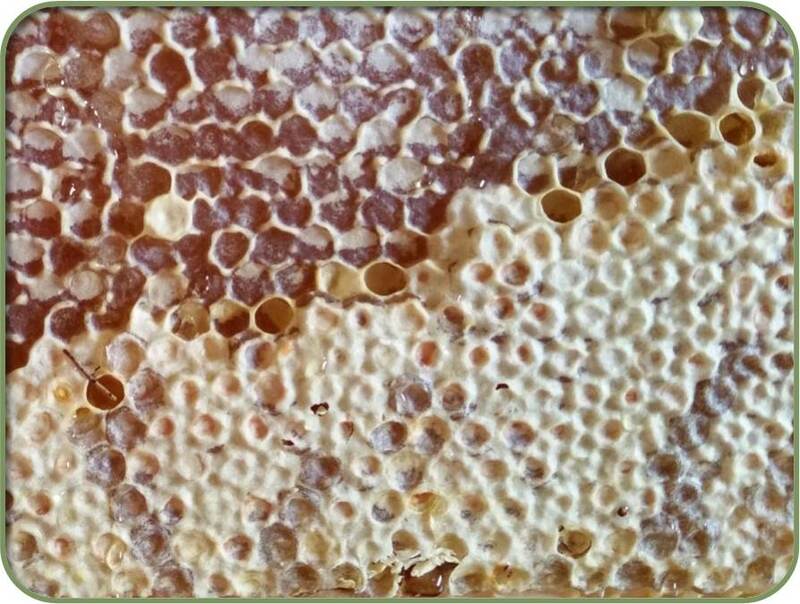 There are valid studies done by real scientist that may not match up with what we see in our hives, or think we see in our hives - but when they do there is a victory for a beekeeper learning their craft. 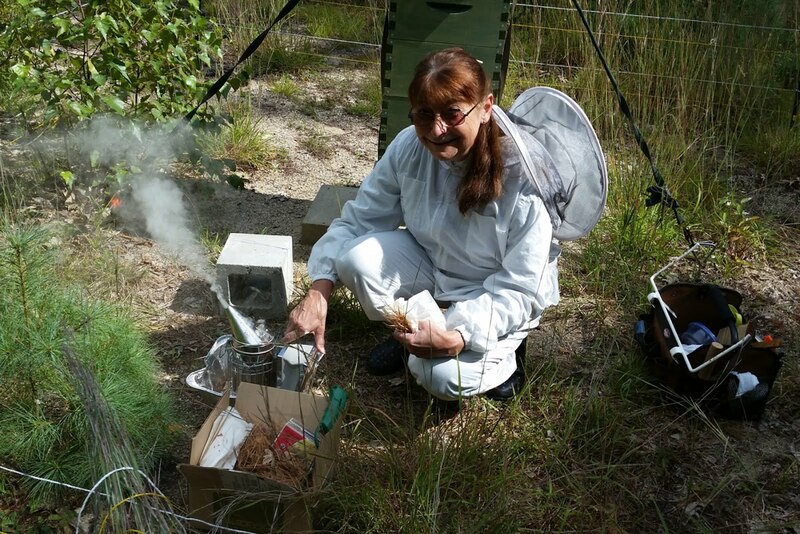 Do always keep in mind the "citizen science" factor when reading beekeeping blogs. Look into research affiliated with universities and if possible or important to you, try and find out where the funding for the research or the video came from. There are some surprising agendas out there inconsistent with raising healthy honey bees or raising them humanely. 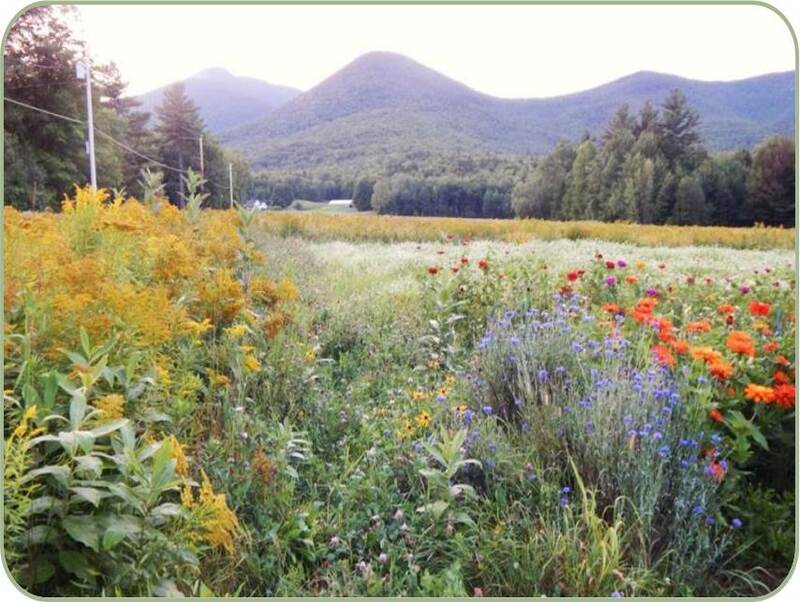 Here are some links and other references to information I shared at a talk with CABA - Capital Area Beekeeper's Association, last Friday night. I was prepared, and a little scared, to speak to a large, experienced crowd, but found a great many of the audience to be in their 1st season of keeping bees and it was a very rewarding experience. Thank you for speaking at CABA. 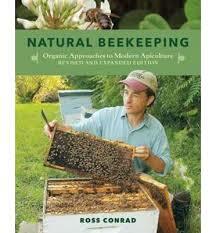 Beekeepers old and new were fascinated with your information. Seldom have I seen such a large group of folks pressing around a speaker following a presentation as I did that night. Clearly you impacted a lot of people. Thank you, Quinn, for the opportunity. CABA is such a forward-thinking group. It was a pleasure.